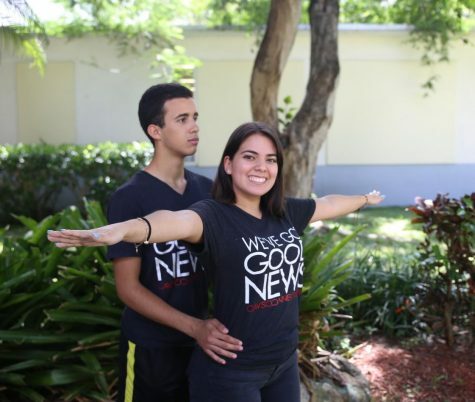 Guiliana “Gigi” Garces is a senior in the International Baccalaureate (IB) program at Coral Gables Senior High School. As a new member of the CavsConnect team, Garces aspires to cooperate in creating the informative, helpful and entertaining content of the CavsConnect website. Aside from CavsConnect, she is a Peer Health Educator of the Health Information Project (HIP), as well as an active member of the National Honor Society and Blood Drive Club. On weekends, Garces volunteers at St. Dominic Catholic Church as a teacher aide for the religious education program, a lector for Sunday mass and as a choir member. She is passionate about music as she is self-taught in the piano and a previous member of Women’s Ensemble. She’s additionally interested in business, chemistry and law. Although Guiliana is a conscientious person due to her strong work ethic, she enjoys quality time with her family and friends as well as watching Netflix.